Oh, the excitement of it all! Accomplishment! “Tales of the Mighty Code Talkers #1” is a teaser comic for a much larger book that will be released by INC Comics in the fall. Other contributors are Roy Boney, Michael Sheyahshe, Theo Tso, Kristina BadHand and Jonathan Nelson. Each of the stories tell the tale of a different tribal group who served as Code Talkers in all of the major military conflicts. The mini-comic will be on sale at WonderCon for $5.00. You can find Arigon, INC member Theo Tso and the Indigenous Narratives Collective at Small Press area in Hall C, Booth #SP-092. 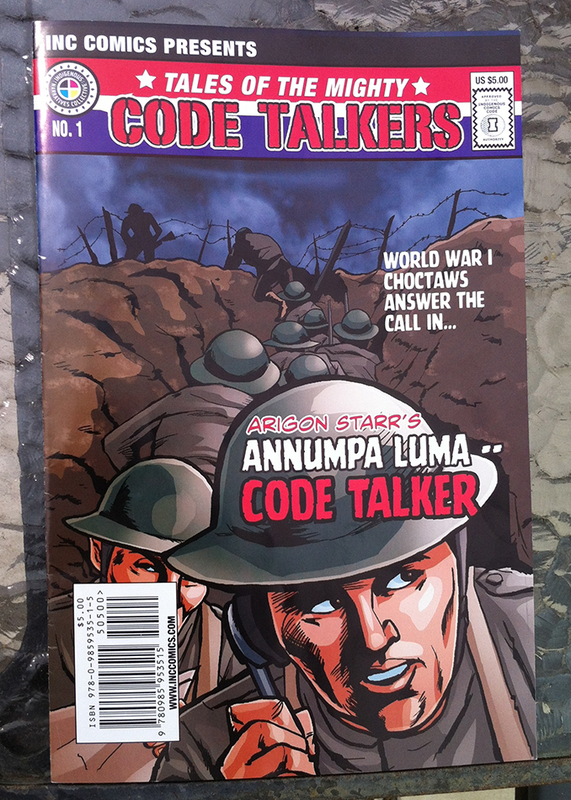 More info to come on buying the comic online, plus the release date of the full “Tales of the Mighty Code Talkers” book. Stay tuned!